Sony Ericsson: X10 family getting Android 2.1 in "Q4 2010"
According to a post on Sony Ericsson’s Product Blog today, the underlying framework that houses the company’s many custom modifications to Android will be updated at the end of the year, adding new features including HD video recording – and also updating the X10 range’s Android 1.6 OS in the process. 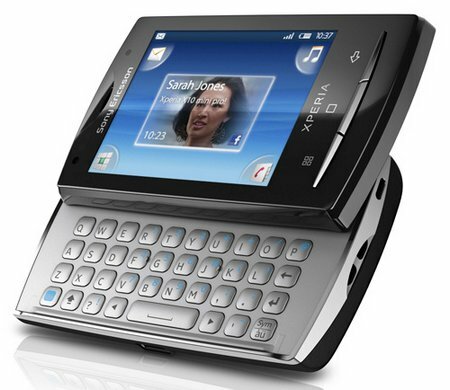 The short version of that is… The X10, X10 Mini and X10 Mini Pro will find themselves running Android 2.1 in Q4 of 2010. That’s quite a long wait, but it’s to be expected when you consider the massive amount of customisations poor old Sony Ericsson’s developers have to port across to the new OS. The blog post also says that a smaller, non-core, bug-fixing update for the full-sized Xperia X10 will arrive sooner than that to fix a few issues with the phone, but it won’t update the handset’s basic OS or be anything too exciting. lol thats so funny, so if this comes out on time, which it probaly wont as there is always delays, everyone else will be running android 2.2, so x10 owners will always be behind.